Now that we’ve got a few days off from work to celebrate the holidays, you might be thinking: what with h-e-double-hockey-sticks do I do with all this free time? 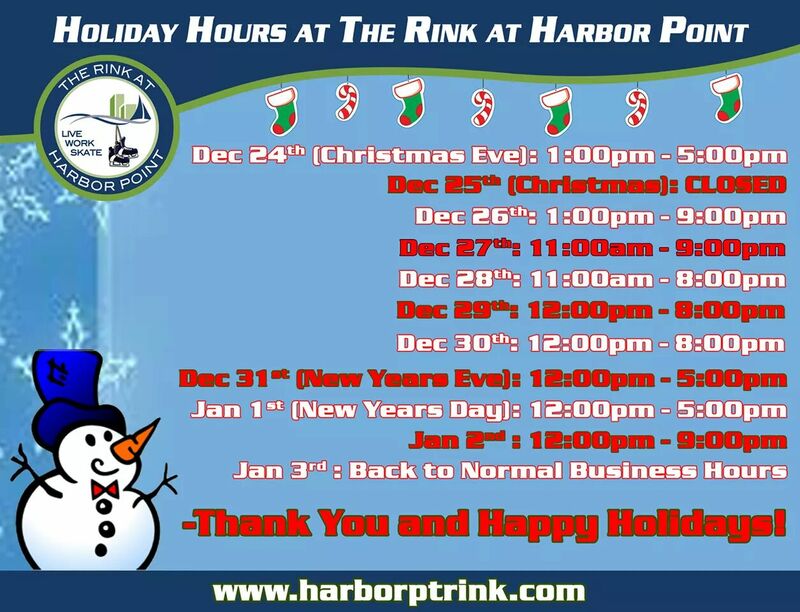 Well, listen up here, we’ve got a great idea: visit The Rink at Harbor Point, located at 200 Commons Park South. You’ll see they have special hours going on from tomorrow until January 2 with pricing at very affordable prices (listed below).